Webb & Brooker is proud to announce that its President has been named to the Queens Borough Presidents Jamaica NOW Leadership Council. The Jamaica NOW Leadership Council is an oversight task force designed to monitor the strategic investments laid out in the Action Plan to encourage the responsible growth of Jamaica, Queens. The Plan aims to increase quality jobs and small business support, promote commercial growth and economic development and improve livability through various cultural, creative and programmatic platforms to enhance the greater Jamaica Area. Install a water meter for the entire premises (unmetered properties only) and where required, a separate commercial meter. The separate commercial meter is required if the building has one or more “high use” commercial tenants using more than about 250 gallons per day (gpd). Laundromats, Food- and Medical-related businesses are specifically included in the “high-use” group. Failure to complete all of the requirements by June 30, 2016 will result in this property being switched from the flat MCP rates to meter-based billing or, if applicable, Attributed Consumption Charges as of July 1, 2016. Property owners must notify DEP of MCP compliance by completing the Multiple-Family Conservation Program form and following the submission instructions on the back of the form. The form must be postmark by June 30, 2016 to avoid expulsion from the MCP and its associated rates. Please contact a customer service representative, Monday through Friday from 9:00AM to 5:00PM, at (718)595-6242. You can also email your questions to trp@dep.nyc.gov. 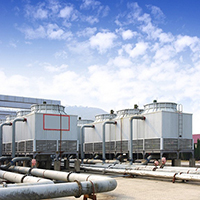 Register existing cooling towers, fluid coolers and evaporative condensers with the Department of Buildings within 30 days of the law’s enactment. Register new cooling towers, fluid coolers and evaporative condensers with the Departments of Buildings prior to initial operation. Annually certify to the Departments of Buildings that cooling towers, fluid coolers and evaporative condensers have been inspected, tested and remediated in accordance with the NYC Department of Health and Mental Hygiene regulations, and that a maintenance program and plan has been developed and implemented. Notify the Department of Buildings within 30 days of removing or permanently discontinuing cooling towers, fluid coolers and evaporative condensers with a statement that the cooling tower was cleaned and sanitized in compliance with Department of Health and Mental Hygiene requirements. 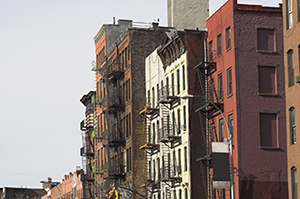 For information on required maintenance standards and the DOHMH Commissioners’ Order pertaining to cooling towers, evaporative condensers and fluid coolers visit nyc.gov/coolingtowers. The momentum of new developments continue to increase 125th Streets attractiveness to retailers and adds to the vibrancy of the area. 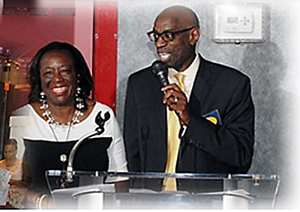 The weekly “Harlem Happenings” e-blast promotes Harlem businesses and inform the global community of the developments, arts and cultural activities in our district. 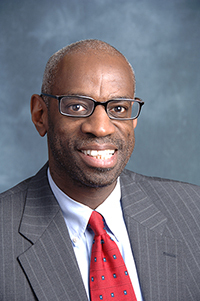 Bernard Warren is proud to serve as Chairman of the BID Board of Directors. Bernard Warren is once again proud to serve on the 14+ Foundation Annual Cocktail Benefit Committee which supports children’s education in Africa. The event will take place on Thursday, October 1, 2015 from 6:00 pm – 8:30 pm followed by an after-party from 8:30 pm – 11:00 pm at the Angel Orensanz Center located at 172 Norfolk Street in New York City. Proceeds from the benefit will support the design and development of new schools in Zambia, Africa as well as the ongoing operations and expansion of the Chipakata Children’s Academy. Webb & Brooker helps sponsor Jamaica YMCA Annual 3 on 3 Basketball Tournament Proceeds from the tournament help support the Y’s annual campaign and kids in the Jamaica, Queens area. Bernard Warren speaks at New Jerusalem Worship Center Youth Forum. Bernard Warren was one of the key speakers at the New Jerusalem Worship Center Youth Power Forum this summer in Jamaica, Queens.